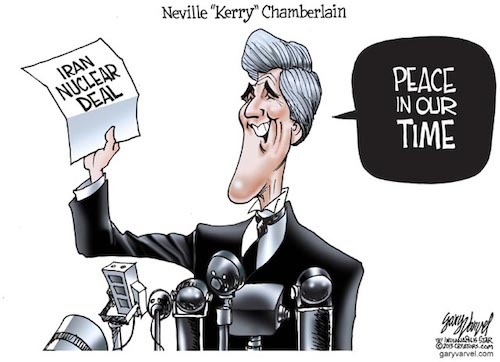 Peace in our Time: The April Fool’s Accord–John Kerry’s “Finest Hour”? It only seems so appropriate. John Kerry’s Iran nuclear negotiations have been extended to April Fool’s Day. This latest in a series of extensions came after the Iranians once again played Kerry like a Stradivarius by hardening their position and threatening to deny Barack Obama and John Kerry their “Peace in Our Time” photo op. This latest development shows what a dangerous clown show these negotiations are. Time is on the Iranians’ side. They have been playing this game at the negotiating table for years now. Even the French recognize this. Obama eased sanctions on Iran and what have we received in return? Not a damn thing. Obama and Kerry seem desperate to talk for the sake of holding talks, as if that accomplishes something. It only accomplishes something for the Iranians. They have benefited materially from these talks. That saying isn’t true at all of course. Just as the Japanese used talks as cover for their planned sneak attack on Pearl Harbor, the Iranians are using talks as cover for building The Bomb. Allowing Iran to obtain nuclear weapons by any means is a catastrophe. In fact, it’s the biggest national security catastrophe of the post-Cold War world. Barack Obama and John Kerry. Over on Investor’s Business Daily, Michael Barone reports that Stratfor analyst Robert Kaplan has suggested that Obama is trying to forge some alliance of sorts with Iran. The apparent basis for Obama’s obsequiousness toward Iran, a country that has sponsored Hezbollah in its campaigns of murder of US citizens and even cooperated with Al Qaeda (YES, Al Qaeda: http://www.nationalreview.com/articles/223992/iranian-entanglements/christopher-w-holton)–not to mention Iran’s involvement in supporting insurgents battling US GIs in Iraq and Afghanistan–is the newly fashionable mythology that Iranian President Hassan Rouhani is at long-last the “moderate” Iranian leader that we have all been waiting for. The basic flaw in this thinking is that the President of Iran has no real authority over foreign policy and national security issues and policy. That authority resides only with the Supreme Leader, the Ayatollah Ali Khamenei. The first known example of damaging Democratic naivete came, of course, during the disastrous administration of Jimmy Carter. Carter’s UN ambassador, Andrew Young, declared that Ayatollah Ruhollah Khomeini was akin to an Islamic “saint.” National Security Adviser Zbigniew Brzezinski considered Khomeini someone America could work with to oppose the Soviets. Young’s saint proceeded to seize political power despite public pledges not to do so and ordered the slaughter of thousands of opponents. He then dragged Iran back centuries with the imposition of Shariah law and began exporting the Islamic revolution through terrorism. The rest is, as they say, history. Clinton’s pragmatist was evidently the Ayatollah in direct charge of kicking off Iran’s nuclear program to begin with. Rafsanjani was eventually replaced as president by Ayatollah Mohammad Khatami, another Great Iranian Hope for the Democratic Party in the US. Khatami served as president from 1997 to 2005 and many in the West portrayed him as a champion of reform and dialogue between the West and Iran. Of course, none of that amounted to anything, perhaps because Khatami, as president, had no authority over foreign policy and served at the pleasure of the Supreme Ayatollah Ali Khamenei. But, like his predecessors, Khatami was not what he appeared to be. When he was Iran’s minister of culture and Islamic propagation, Khatami was directly involved in the creation of Hezbollah, the global Jihadist terrorist organization that has served as Iran’s proxy in waging war against the West. It should also be noted that Iran’s nuclear program accelerated during Khatami’s presidency. So, now we have Rouhani and Obama’s apparent miscalculation to follow in the footsteps of Clinton and Carter before him. The difference now is that the Iranians are so much closer to becoming a nuclear power. Lost in the discussion about the disastrous P5+1 agreement on nuclear technology forced on the world by Barack Obama, John Kerry and the Ayatollahs in Tehran are the profound implications for Jihadist terrorism. No where in the agreement is the issue of Iran’s sponsorship of terrorism even addressed. For all we know, John Kerry didn’t even raise it as an issue in his talks with the Iranians. Note that in the State Department report we cited in our 2010 post on Iran’s sponsorship of terrorism, the Obama State Department acknowledged not only Iran’s sponsorship of Shia Hezbollah, but also Sunni terrorist organizations, such as HAMAS and Palestinian Islamic Jihad. In addition, Iran was cited for providing safe haven for Al Qaeda and for providing arms and training to the Taliban, who were fighting US forces in Afghanistan. How does all this fit in with the nuclear agreement? The point is, it takes money to arm, train, supply and provide safe haven for Hezbollah, HAMAS, Palestinian Islamic Jihad, Al Qaeda and the Taliban. Money is the lifeblood of Jihad and no one supports Jihad more than Iran does. That money has to come from somewhere. For the most part Iran gets money from oil and natural gas. Divestment and sanctions policies in the US and the West over the past 8-10 years have been geared toward reducing Iran’s oil revenue. Now, with the stroke of a pen, Obama and Kerry have provided a renewed stream of revenue to the Ayatollahs by easing sanctions that were designed to pressure the Iranians into changing their behavior. 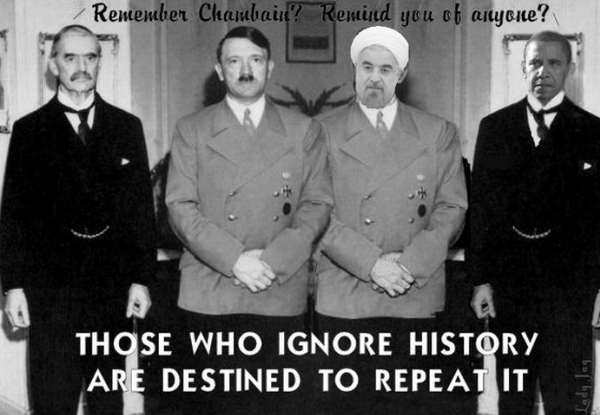 This was done with the hope that the Iranians would not build nuclear weapons, a fool’s errand most likely. But even so, the deal was done in a vacuum of consideration for Iran’s sponsorship of Jihadist terrorism. So, whether the Iranians build an atomic bomb next week, next month or next year, Obama and Kerry obviously don’t care that Iran is the world’s foremost sponsor of Jihadist terrorism. How much of a financial bonanza will the Iranians enjoy as a result of Obama and Kerry’s handiwork? Well, one estimate forecasts that the Iranians will see an increase in their oil exports of as much as 50%. Given that Iran exports 1 million barrels of oil per day, that figure could rise to 1.5 million barrels of oil per day. 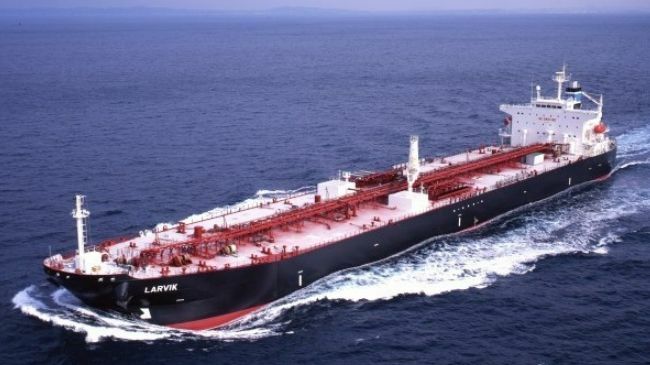 Assuming a price of oil of $100 per barrel, that comes to an increase of $50 million each and every day over and above what the Iranians bring in now. Multiply that times 365 days per year and you get a figure of $18,250,000,000. In other words, over the next year, the Iranians will earn an extra $18 billion thanks to Barack Obama and John Kerry. How much of that ends up in the form of weaponry and training for Hezbollah, HAMAS, Islamic Jihad, Al Qaeda and the Taliban is anyone’s guess. Surely a portion of it will also go to Iran’s ballistic missile development program as well…which is yet another nefarious Iranian activity that Obama and Kerry actively ignored in putting together this unprecedentedly horrible deal. • Iran is clandestinely acquiring equipment and data needed to make nuclear weapons. • Iran has been conducting high explosives testing and developing detonators designed to trigger a nuclear explosion. • Iranian scientists have been using computer modeling to design the core of a nuclear warhead. • Iranian military personnel have been doing work consistent with preparation for a nuclear weapons test. For its part, not surprisingly, Iran denies that its nuclear program is a weapons program. The Ayatollahs maintain that their nuclear program is a peaceful energy program. All of this comes as no surprise to sober Americans, Israelis and other Westerners. Only fringe politicos have been in denial as to Iran’s sinister intentions for its nuclear program. Nevertheless, those in the West who have denied the true nature of Iran’s nuclear program have served the Ayatollahs’ purpose as “Useful Idiots” for years. For decades in fact, the Iranians have bought time through denials, lies and theatrics designed to conceal their nuclear weapons program. And their friends, vendors and customers in nations such as Russia, Red China, Japan, Germany, France, Italy, Spain, Brazil, India, the United Arab Emirates, and, yes, the United States of America, have played a supporting role in this theater of the absurd. Nor is the UN itself blameless. 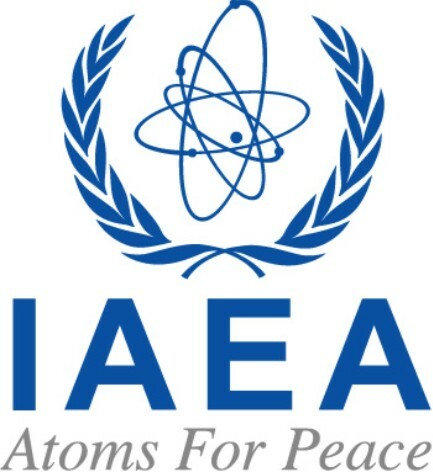 Recall that the IAEA was once headed by a man from Egypt named Mohammed El Baradei. El Baradei had a terrible reputation among the Western arms inspectors assigned to the IAEA as someone who went to great lengths to give Moslem nations the benefit of the doubt when it comes to nuclear inspections. 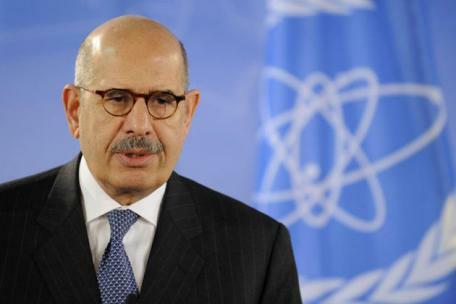 It was while El Baradei was heading the IAEA that Iran was expanding its nuclear program with huge underground facilities as places like Natanz equipped with advanced centrifuges used to enrich uranium in violation of the NPT (Non-Proliferation Treaty). It is difficult to believe that all of the revelations in the latest IAEA report couldn’t have been gleaned during the El Baradei years. All of the delays have helped the Iranians grow closer to achieving their goal of arming themselves with nuclear weapons. Unfortunately, at the forefront of those whose incompetence and professional neglect enabled the Iranians to advance their nuclear weapons quest was none other than the US intelligence community. Recall back in November 2007 that the Office of National Intelligence published a National Intelligence Estimate that stated that Iran had abandoned its nuclear weapons program back in 2003. No single document helped the Iranians more than the 2007 NIE. It paralyzed the Bush administration, Congress, Israel and some of our NATO allies for months, even though the Israelis and some of the Europeans knew the report to essentially be a work of fiction. There can be no doubt that Iran is much closer to being armed with nuclear weapons now than they were before the DNI published the 2007 NIE. And the NIE gave them cover. One of the things that is so infuriating about all this is that there were mountains of physical and circumstantial evidence pointing to an Iranian nuclear program years before the latest IAEA report was published. • In January 1994, the Clinton administration’s Undersecretary of State for International Security, Lynn Davis, told USA Today that “Iran’s actions leave little doubt that Tehran is intent upon developing nuclear weapons capabilities.” Davis went on to say that “Iran’s nuclear acquisitions are inconsistent with any rational civil nuclear program.” This statement was made nearly 18 years ago. EIGHTEEN years ago, we knew what the Iranians were up to, but the Clinton administration did next to nothing to stop them. 1. How close are the Iranians to having nuclear weapons? 2. What can be done? The answer to the first question is as elusive as the wind itself. Estimates range all over the place. But keep in mind that Western intelligence agencies have provided estimates ranging from 5 years to 15 years since the 1990s. Heck, at one time, for a short period, the CIA even told President Bush that they thought Iran already had one nuclear weapon, but eventually backtracked from that statement. The fact is, if you look at the history of estimates from Western sources, it becomes clear that no one knows how close the Iranians are to having nuclear bombs. They could even already have a nuclear bomb. Or they could be years away. But one thing we must remember is that the Iranians are awash in petrodollars, so they have been able to purchase expertise and components from the likes of AQ Khan of Pakistan and North Korea, in addition to former Soviet and South African nuclear technicians. Being able to afford to buy existing knowledge and equipment “off the shelf,” provides a real short-cut to completing a nuclear weapons program. Given that the Iranians are not idiots and they have been working on this project since the late 1980s, it would be a mistake to assume that Iran is many years away from having an atomic bomb. This leaves us with the last question: what is to be done? It is most unfortunate that Presidents Clinton, Bush and Obama have not exhibited any of the political will necessary to prevent Iran from becoming a nuclear power–and we MUST acknowledge that preventing Iran from going nuclear is an absolute necessary vital national security issue for the United States. All of the good options are gone. Had we imposed meaningful sanctions back in January 1994 when the Clinton State Department declared Iran’s nuclear program a weapons project, and worked to compel our NATO allies to do the same, there could have been a meaningful impact on Iran’s economy and ability to acquire nuclear technology. But Clinton lacked the political will to defend America. Unfortunately, President Bush displayed little additional political will to target the Iranians with meaningful sanctions. Bush continued the Clinton policy of issuing waivers for foreign companies in violation of the Iran Sanctions Act. Big firms such as Siemens, Total SA, GE, BP, Thyssen-Krupp, Royal Dutch Shell and Alcatel-Lucent were given a free pass to provide corporate life support for the Ayatollahs. Each of companies, and others, has done hundreds of millions, if not billions, of dollars of business with the Iranians while the Iranians have built nuclear weapons. The Obama administration has continued the waiver policy. In other words, since the mid 1990s when the Iran Sanctions Act was signed into law, we have failed to enforce the Act and have had n0 tough sanctions on Iran, despite the fact that Iran has armed our enemies on the battlefield in Iraq and Afghanistan and have supported Al Qaeda in its war against America. If the United States decided to suddenly start enforcing its existing sanctions policies, would there be enough time for the sanctions to make themselves felt in Iran, before Iran got nuclear weapons? That is the great unknown–but we DO know that we cannot trust anything coming out of our intelligence community on the subject. That leaves the military option, something that the Obama administration almost certainly has no stomach for. I believe it is safe to say that Obama would rather allow Iran to go nuclear and let the next president deal with it than take any forceful action to prevent the Ayatollahs from going atomic. Moreover, Obama’s policies of withdrawal have weakened our ability to threaten Iran and strike at its nuclear facilities. US forces are almost completely withdrawn from Iraq and Obama is seeking to accelerate their withdrawal from Afghanistan. Whereas, not long ago, the US had large formations of forces bracketing Iran, including, most importantly, massive air assets and special operations forces, soon there will be few if any of those assets on hand to launch a campaign against Iran’s nuclear facilities, which have been dispersed and hardened. This will make the planning and execution of any military operation against Iran much more complicated. Which is exactly what Obama and his hard left, Soros-funded allies want. 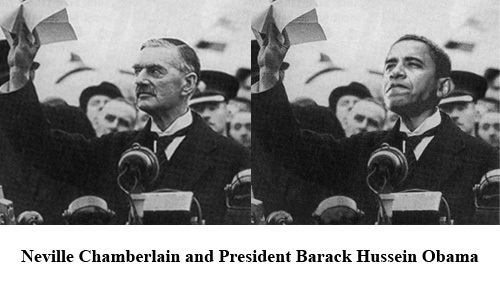 Like Ron Paul on the right, they’re just fine with Iran getting nuclear weapons. It’s an insane policy, unless your goal is to see the United States substantially weakened in the world and Israel threatened. Speaking of Israel, it appears that it will be up to that isolated and abandoned republic to defend itself and rid the Free World of the Iranian nuclear menace. Are they up to it? They certainly have the political will that America’s leaders have lacked, but they lack pure numbers of suitable weapons and geography. Iran has at least 15 significant nuclear sites. While some observers maintain Israel would not have to destroy every site to cripple Iran’s program, Israel’s intelligence would have to be extremely good to skip over any known sites, much less sites that are not widely known. Iran has been secretive about its nuclear program for nearly two decades and it is possible that crucial activities are hidden in unknown areas and sites. Israel would not want to leave any aspect of Iran’s nuclear program intact, therefore, to suggest that an attack would need to destroy 15 sites may be conservative. Israel used 16 aircraft just to destroy Saddam Hussein’s Osirak nuclear facility in June 1981. Osirak was relatively poorly defended and was only approximately 570 miles from Tel Aviv. By contrast, Iran’s largest nuclear site is 1,000 miles from Israel. The furthest Iranian nuclear site is in Tabas, in the eastern end of the country, some 1600 miles from Israel. The other 13 nuclear sites are widely dispersed. The Iranians are very aware of what happened at Osirak. Their nuclear sites are hardened—often built underground—and are heavily defended by Russian-made surface to air missiles and anti- aircraft artillery. Israeli planning tends to be very good, but with so many targets, follow-up strikes would almost certainly be needed. This makes the fact that the Iranians have gone to great lengths to defend their nuclear facilities a problem. Even if the initial strikes get by Iranian defenses, the Iranians will be that much more alert for follow-up strikes. And Israel does not possess stealth aircraft or large numbers of long- range cruise missiles to conduct such missions. The Israelis would need to be uncannily accurate in their initial strikes to ensure success and this is not the same Israeli Air Force that existed in 1981. Today, many Israeli pilots have not seen true combat, have not had to deal with sophisticated air defense systems and have never flown long-range precision strike missions. Iran’s nuclear facilities are not the only problem. Iran’s Shehab-3 ballistic missile has the range to hit Israel. It is not certain how many of these missiles Iran has (though some published reports give a number of 15, with no acknowledged source), nor is it known if any are equipped with chemical or biological warheads. This means that Israel would be faced with having to strike no fewer than 23 separate targets, all more than 1,000 miles from Israeli air bases and it simply does not have the number of long-range aircraft necessary to do so. Israel has 100 F-16I and 30 F-15I capable of carrying out this mission profile. What this means is that Israel would have to do more than just launch air strikes against Iran’s nuclear facilities. 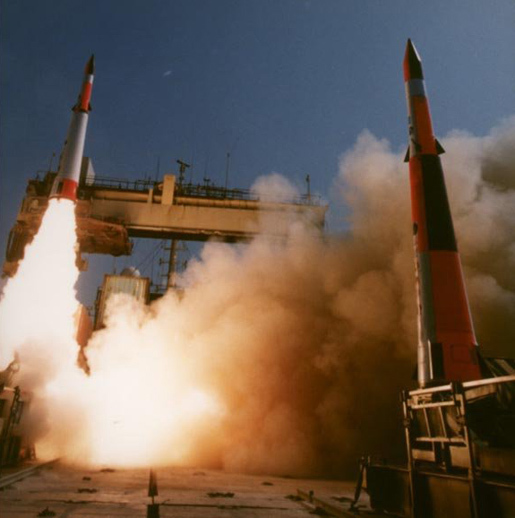 Perhaps this is why Israel has recently tested a new, extended range version of its Jericho ballistic missile, equipped with a larger warhead. 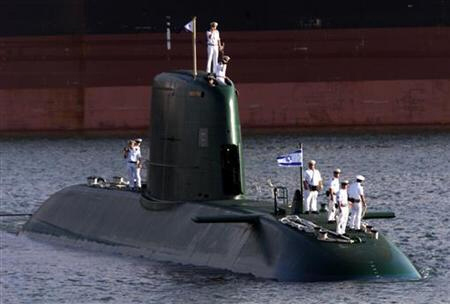 Additionally, Israel has a number of cruise missiles installed on its German-built Dolphin class submarines, with which it could strike Iran from the Persian Gulf or the Arabian Sea. Given all its weapon assets, special operations forces and intelligence capability, Israel may very well be capable of setting Iran’s nuclear program back by a number of years, but in the process Israel will be subjecting itself to unrestricted warfare at the hands of Iran’s terrorist allies around the globe, as well as other forms of retaliation from Iran’s ballistic missile forces. This week the US State Department released its “Country Reports on Terrorism 2009,” which includes details on state sponsors of terrorism, of which Iran is obviously at the forefront. We have pasted the entire section on Iran below, but will preface it with a few comments. Much of the report is a rehash of last year’s report and, unfortunately, this is a pattern we have noticed in this State Department report for some time now. Very few new facts seem to emerge from this report and the language is quite similar from year to year. This calls into question how much work and thought actually goes into this report in the first place. It is a disservice to the American people to regurgitate the same information year after year and it is difficult to regard such a report as authoritative under such circumstances. Iran has given weaponry, training and funding to Sunni terrorist organizations for years. Two primary examples are HAMAS and the Taliban. The quaint notion that Shia Iran does not sponsor Sunni Jihadist terrorist organizations is one which we cannot afford to allow to persist. When someone tells you that Iran would never aid a Sunni terrorist organization because of the Sunni-Shia divide, that is a sure sign that they don’t have the slightest idea what they are talking about. Iran remained the most active state sponsor of terrorism. Iran’s financial, material, and logistic support for terrorist and militant groups throughout the Middle East and Central Asia had a direct impact on international efforts to promote peace, threatened economic stability in the Gulf and undermined the growth of democracy. 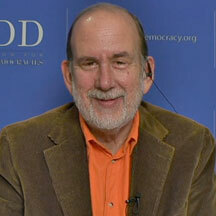 Iran remained the principal supporter of groups that are implacably opposed to the Middle East Peace Process. The Qods Force, the external operations branch of the Islamic Revolutionary Guard Corps (IRGC), is the regime’s primary mechanism for cultivating and supporting terrorists abroad. Iran provided weapons, training, and funding to HAMAS and other Palestinian terrorist groups, including Palestine Islamic Jihad (PIJ) and the Popular Front for the Liberation of Palestine-General Command (PFLP-GC). Iran has provided hundreds of millions of dollars in support to Lebanese Hizballah and has trained thousands of Hizballah fighters at camps in Iran. Since the end of the 2006 Israeli-Hizballah conflict, Iran has assisted Hizballah in rearming, in violation of UN Security Council Resolution 1701. Iran’s Qods Force provided training to the Taliban in Afghanistan on small unit tactics, small arms, explosives, and indirect fire weapons. Since at least 2006, Iran has arranged arms shipments to select Taliban members, including small arms and associated ammunition, rocket propelled grenades, mortar rounds, 107mm rockets, and plastic explosives. Despite its pledge to support the stabilization of Iraq, Iranian authorities continued to provide lethal support, including weapons, training, funding, and guidance, to Iraqi Shia militant groups that targeted U.S. and Iraqi forces. The Qods Force continued to supply Iraqi militants with Iranian-produced advanced rockets, sniper rifles, automatic weapons, and mortars that have killed Iraqi and Coalition Forces, as well as civilians. Iran was responsible for the increased lethality of some attacks on U.S. forces by providing militants with the capability to assemble explosively formed penetrators that were designed to defeat armored vehicles. The Qods Force, in concert with Lebanese Hizballah, provided training outside of Iraq and advisors inside Iraq for Shia militants in the construction and use of sophisticated improvised explosive device technology and other advanced weaponry. Iran remained unwilling to bring to justice senior al-Qa’ida (AQ) members it continued to detain, and refused to publicly identify those senior members in its custody. Iran has repeatedly resisted numerous calls to transfer custody of its AQ detainees to their countries of origin or third countries for trial; it is reportedly holding Usama bin Ladin’s family members under house arrest. Senior IRGC, IRGC Qods Force, and Iranian government officials were indicted by the Government of Argentina for their alleged roles in the 1994 terrorist bombing of the Argentine-Jewish Mutual Association (AMIA); according to the Argentine State Prosecutor’s report, the attack was initially proposed by the Qods Force. In 2007, INTERPOL issued a “red notice” for six individuals wanted in connection to the bombing. One of the individuals, Ahmad Vahidi, was named as Iran’s Defense Minister in August 2009.